Finally, the moment has come. The BMW 1-series coupe has been finally brought to the U.S. Over the past few months, we have provided extensive coverage on this wonderful new design by BMW and in the same many speculations regarding the price have been thrown around. As many expected, BMW has released the U.S pricing as well, the BMW 128i coupe will start at $29,375 and the BMW 135i coupe at $35,675. Unfortunately, to a last minute change of plans, we couldn't be there for the premiere, but we are still able to show you some photos through some of our partners. 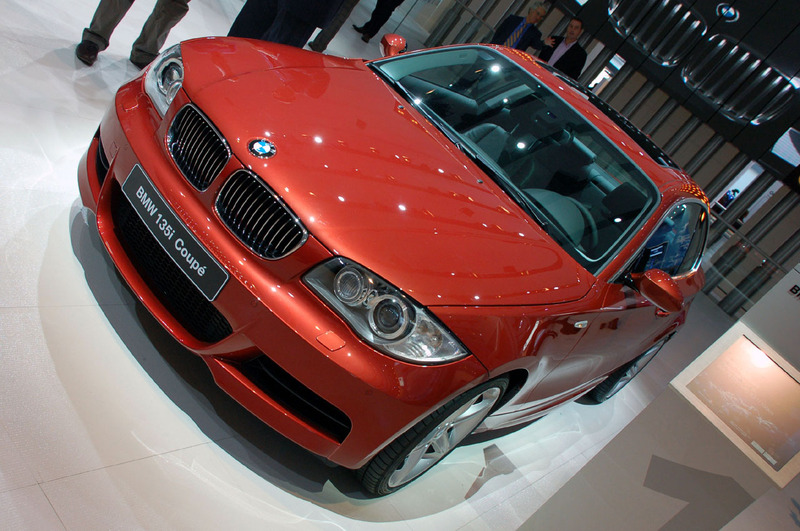 Remember, we will be present at the Detroit Show in January for the revealing of the 1-series convertible. BMW says that the 135i’s performance is inspired by its M division. The 135i includes an Aero kit for additional downforce at speed, better brake cooling and enhanced aesthetics while the Sports Suspension offers higher traction and reduced body roll with 18-inch wheels and performance tires. The Sports Suspension also includes with a high-performance brake system incorporating six-piston fixed calipers on the front and two-piston fixed calipers at the rear. Unfortunately, BMW has decided this time as well to bring the same Sedona Red color that was present at the previous auto shows, so even though it might look boring to see the same photos over and over, it's still a great car and these photos make for an awesome wallpaper.